Senator Howard Baker uttered his immortal words one summer 44 years ago when Rick Snyder was about to become a high school sophomore. Thirteen months later, we had enough of the answer to force Richard Nixon to resign the presidency, ending a long national nightmare we thought we’d never see repeated. Well, we are now in the midst of nightmares at every level of government, and today the question is: “What did the governor know, and when did he know it?” And it is not a question that is going away. Nobody died in the Watergate scandal, though many careers did. But at least a dozen people died of Legionnaires' disease in Flint in 2014 and 2015, during the aftermath of the water crisis. But a week ago, Harvey Hollins, an aide to the governor who was handling the response to the Flint water crisis, said he told the governor about the Legionnaires’ outbreak in a phone call a month before. This was no casual remark. He did it in a Flint courtroom, where a preliminary hearing is being held to determine whether Nick Lyon, Snyder’s Health and Human Services director, will stand trial on felony charges related to the Legionnaires outbreak in Flint. Hollins testified under oath, knowing he was contradicting the governor. That drew a swift response from Congressman Trey Gowdy, a South Carolina Republican who is the committee chair. He and Elijah Cummings, the ranking Democrat, wrote Michigan’s governor and asked for an explanation. If there is any doubt as to how serious this is, the letter talked about the definition of perjury and obstruction of justice. They gave Snyder an opportunity to say he’d made a mistake. But SNYDER insisted he knew nothing until January. “My testimony is truthful, and I stand by it,” he wrote. But one of his top aides says it was not truthful. What happens now is not clear, except that this is not likely to go away. Dan Kildee, the Democratic congressman from Flint, said he’d received assurance “that the committee would continue to pursue answers and get to the truth.” Republicans may not protect Snyder either. Bill Schuette, Michigan’s attorney general, is running for governor next year, and knows he can’t win if voters perceive he is connected to his fellow Republican’s administration. He’s now aggressively prosecuting Lyon and other officials, and has pointedly refused to rule out charging the governor himself. We don’t know whether Congress will demand more from Rick Snyder. We might have a clearer picture had the legislature extended the Freedom of Information Act to cover the governor’s emails. But Senate Majority Leader Arlan Meekhof won’t even let a bill requiring that come up for a vote. What does seem clear is this: Rick Snyder’s final months in office are not likely to be easy ones. 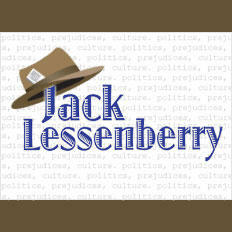 Jack Lessenberry for Wednesday, October 11, 2017. I took a trip back in time yesterday, sort of, to Plymouth, Michigan – a tidy, mostly gentrified Wayne County town 26 miles and at least that many light years from the city of Detroit. I turned on Main Street, and stopped in the law office of John Stewart, who has practiced there for more than 30 years. When I looked around, I expected to see Atticus Finch, or Jimmy Stewart, the folksy yet brilliant country lawyer from Anatomy of a Murder. The offices were in what had been a comfy private home built nearly a century ago. There were bookshelves everywhere, lined not just with law books but biographies of Lincoln, Jefferson, and other books you might actually want to read. Sam VarnHagen / Ford Motor Co.
My guess is that virtually everyone who even half-heartedly follows the news knows that a Republican senator from Tennessee called the White House an “adult day care center” after the President called him a coward, et cetera, et cetera.